Ready for winter? 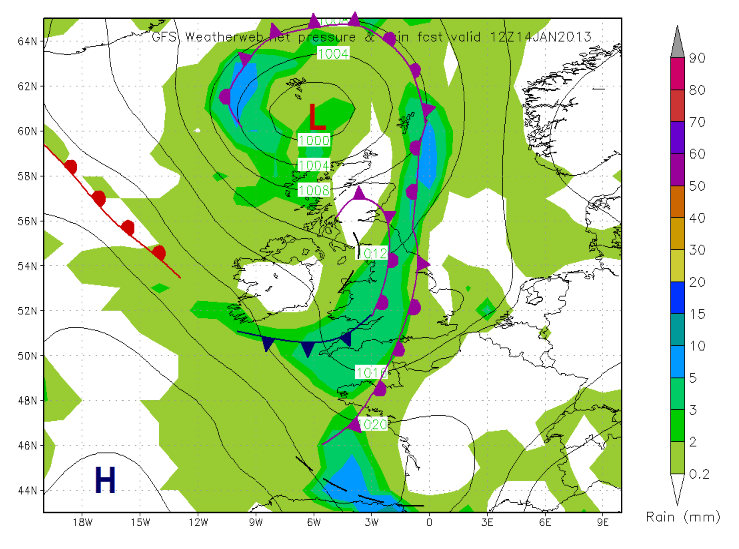 Heavy snow possible Monday afternoon to Tuesday for Reigate! SEE UPDATE! Ready for winter? This weekend sees cold air pushing in from the North East but not much snow for Reigate: icy, sleety rain Saturday with maybe some snow over the hills later and possibly a dusting to lower levels over night to Sunday; but mostly the rain clears off south on Saturday before the very coldest air arrives behind it. However, the chart shows fronts tracking south across the UK from the NW on Monday afternoon through to Tuesday which could bring heavier snow to Reigate and the SE. Watch this carefully! Further ahead, several long range forecasts agree that the cold weather could stay with us for 2 or 3 weeks caused by LOW pressure holding over Central Europe and a HIGH pressure sticking to the North over Iceland blocking our usual warm westerlies and feeding COLD polar winds from the North and North East across the UK for the whole of January.